(Divi Pos, Cons & Comparisons) - We Test Divi Against The Best. In this review, you’ll learn all there is to know about Divi WordPress Theme, thanks to the expert team at EntrepreneursGateway.com. They have tested it to the max in this Definitive Review. What we liked and what we didn’t like. What features does it come with and is it easy to use? Most of all, does it get the EntrepreneursGateway.com Award as being the best WordPress Theme? You’ll love this review if you’re looking for a new WordPress Theme! The annual cost of Divi is a tad on the high side and there are other free theme providers that provide similar versions. Divi is really easy to use as it manages to keep the minimal approach together, without sacrificing customizability. It is brilliant for beginners, and it benefits from having more advanced options available, if required. Divi offers a wide range of support and tutorials but it’s worth remembering that the Live Chat is limited to Pre-Sale only. 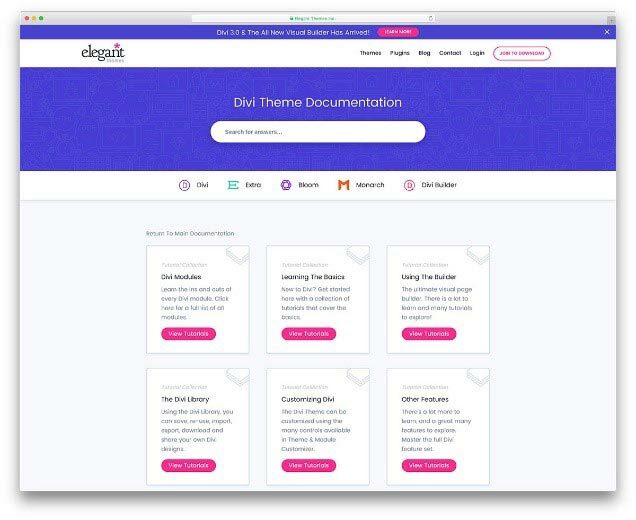 Is Divi the Right Theme for You? One of the most popular theme shops around is Elegant WordPress Themes. Their ever-increasing shop offers 87 themes and well over 253,000 customers. It was founded in 2007 by Nick Roach and is based in San Francisco. The latest release from Elegant Themes is Divi, and this is available as part of the 3 plugins and 87 theme package. Since its release, the theme has attracted quite a lot of attention due to its range of features, which includes the Divi page builder tool together with its attractive design. 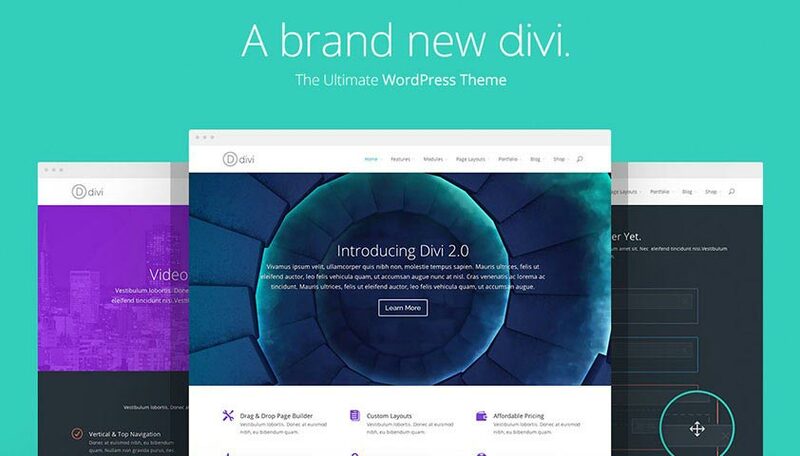 Since its initial release, Divi has been updated regularly and is now seen as Elegant Themes flagship theme. The page builder recently got a major overhaul as the result of an update. As a result of this Divi is one of the only WordPress Themes that includes a true front-end page builder tool which includes point and click editing. For those who are looking for a stylish and customizable WordPress theme, Divi could be the one for you. This review of Divi will help to establish the themes quality and I will take a long hard look at what features it has to offer and will also be testing out the page builder tool to get an idea of what it is capable of and how easy it is to use. 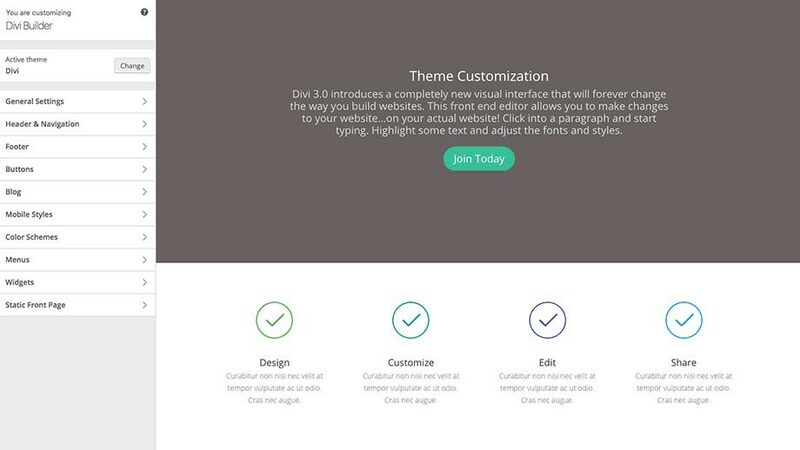 In this section, you’ll discover how easy Divi WordPress Theme is to use. In my view, sometimes simplicity is key. After all, you don’t want to be spending hours and hours getting to grips with their dashboard. There are lots of WordPress themes out there in the market that include complex layouts, flashy animations and myriad of colors. Occasionally, these things may be needed, but more often than not, they aren’t. That’s what you’ll quickly discover by reading on. Even if you are a complete WordPress novice, once you get used to Divi, it’s tremendously easy to use. 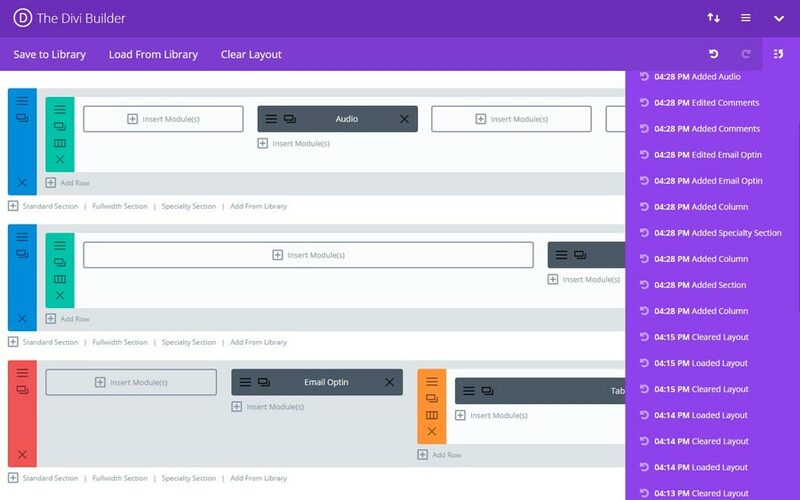 If you like the drag and drop structured approach, then using the back-end Divi builder is the right choice. If, however, you prefer the point and click method, with real-time changes, then choose Visual Editor. Of course, you can use a combination of both, for example, creating the page with Divi Builder then moving over to the Visual Editor for format and layout purposes. Once the Divi theme has been installed (Appearance > Themes > Add New > Upload), several menu items will be added to the dashboard on WordPress. These are located under the ‘Appearance’ menu and allow the theme to be configured. A recent update to Divi saw the Theme Options control panel receive a complete overhaul giving it a more sophisticated design. Divi’s Theme Options control panel is far more powerful and the user interface has improved considerably. 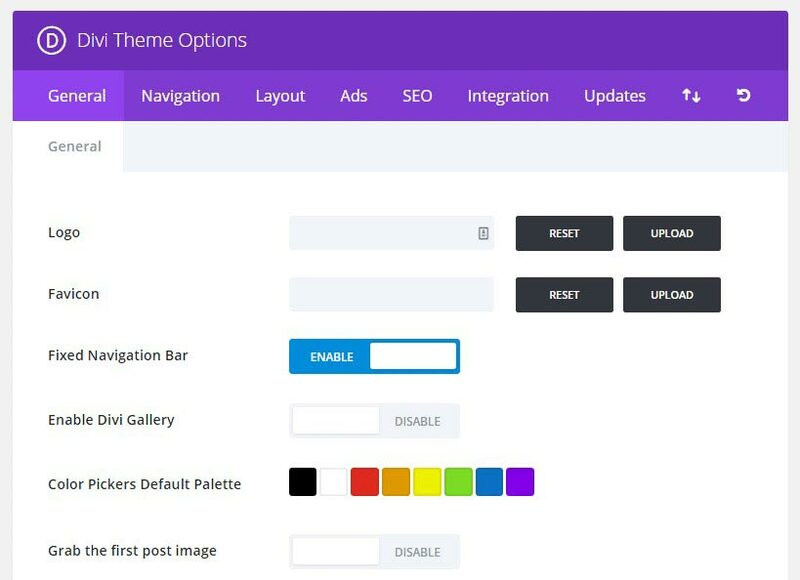 Via the options and settings, you are now able to easily and quickly upload logo’s for your websites, set up social media integrations, choose the number of posts each page displays, choose new color palettes and much much more. 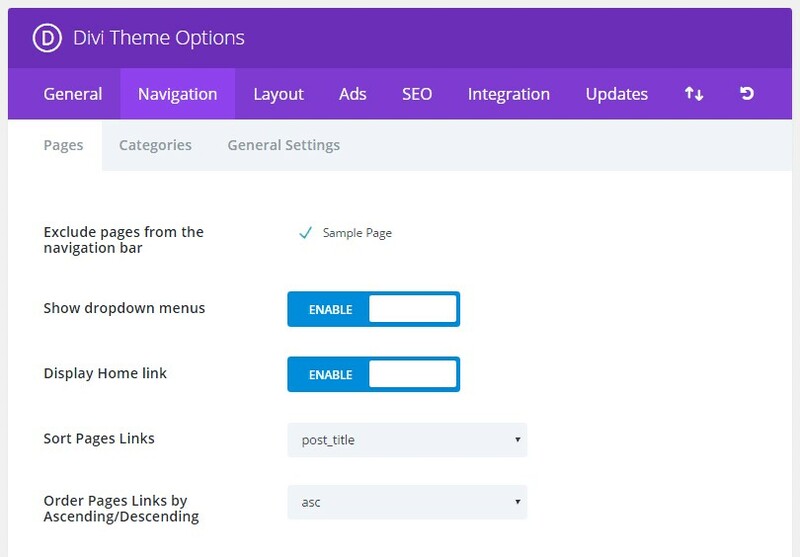 Other panel settings make it a breeze to control your site navigation, manage adverts, configure the global settings for general layouts of pages and posts, and to allow the search engine optimization (SEO) setting, for those that aren’t using a dedicated SEO plugin. What types of websites can be built with Divi 3.0? In short, almost all types. From affiliate sites, eCommerce sites, information sites, simple blogs and local businesses – they have all created websites using Divi. Web developers can use Divi too, as access is given to powerful features and tools which can dramatically cut down development time. None of the ability to make customized changes is lost with Divi, as elements have a section where you can custom CSS. Each element is broken down, meaning that CSS code can be easily inserted into the specific element, both before and after. Extra element specific CSS options are available for elements that are more advanced. Divi comes loaded with the majority of elements that you will want and need to use on your site. Included are features such as email opt-in, audio player, countdown timers and video sliders. To keep your audience engaged with all your content, an interactive and dynamic website is a must. This is made easy with Divi’s built-in module customization options, animation and drop shadow. Divi comes with a complete store, which means that you are able to easily and quickly create a shopping experience via your website that is in keeping with the rest of your site’s design. Included are image galleries, sortable and filterable product listings, add to cart functionality, individual product pages and customer ratings and reviews. Divi integrates perfectly with WooCommerce enabling this experience. By way of the WordPress Customizer, its powerful drag and drop page builder, and it’s theme settings, Divi offers extensive customization options. What this means is, that everything we have mentioned above, is really only a starting point of what is achievable when using Divi. In this review, I have dedicated two sections so that you have a thorough understanding of how they can be used. The first thing important to me is that Divi lets me build a website exactly how I want it to look. It’s not uncommon to scroll through tons of different themes to find a good fit, and then find it tricky to work in harmony with the theme customization and layout restrictions. The beauty of Divi is that these restrictions are lifted. You can design any layout you want, from intricate to simple. Small adjustments are so easy to make using Divi; an example would be decreasing or increasing the padding between each element, it’s a simple click and drag in the Visual Editor. The visual editor is impressive. No more switching back and forth, from the preview button to the back-end, to view changes and tweaks. With the Visual Editor, you can build your page in the front end in real time – how amazing is that? Point, then click, type and customize – all in REAL TIME. Changes happen instantly, and everything can be modified, including how your website will appear on different devices. At present, there are 25+ layout packs that are available for Divi, which can be downloaded and added to your Divi theme as and when you want. Part of the new Divi Design Initiative is to make new FREE layout packs available on a weekly basis – ensuring that your options will continue to grow. There are lots of niche options available that will be useful to users who are creating sites for specific fields. Several of these layouts are now directly available via Divi from the Divi Builder Premade layouts tab. 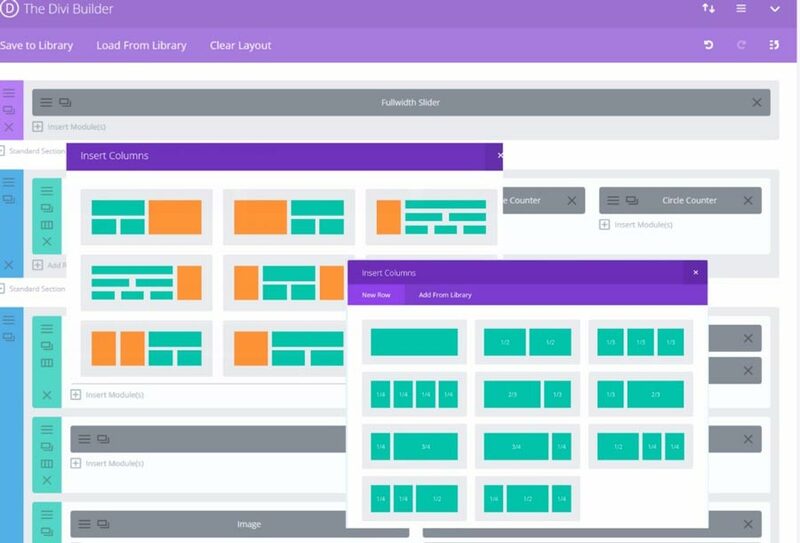 In this section, you’ll learn about Divi’s page builder. Page builders are tools which help you to arrange your layout of your website, and most nowadays have a drag and drop feature, meaning it’s super easy and quick to build your webpage. So, Divi, what is your page builder like? Everything in the Visual Editor can be done using the Divi Builder. As this is a backend type of page builder, using drag and drop lets you create posts and pages. Divi page builder gives you the choice of 37 modules and allows you to customize and add different parts to create the layout you want. Compared to the standard WordPress themes, page builders are way out in the lead. With no coding knowledge, you can create a genuinely bespoke website. It’s been said that some page builders are slow and due to messy code, have a slow loading speed, which could have a negative impact on your website. Divi’s page builder, however, is fast and I haven’t encountered any issues or delays when building my page. 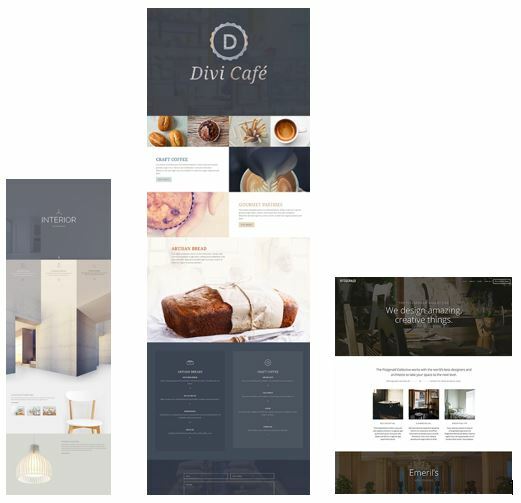 When creating a multi-page website, where the content is different, but the layout is the same, Divi’s ‘Save to Library’ is the feature that you need. Similar to that in Elementor, this feature saves sections, entire pages, and single modules within the library for use later on. Within the ‘Save to Library’ feature, you can choose the ‘global item’ save option. This means that wherever the saved item is added to, regardless of how many pages it may be, changes show ‘globally’ throughout the website. Each of the 37 modules and every section can be saved within the library, which means they can be exported and imported for use on other websites. What are the 37 modules? As standard with all quality page builders, Divi has an array of useful modules. Without the need for more plugins or the expense of a developer, these modules can be customized to make your pages stand out and improve customer engagement. Unlike some other premium themes, Divi 3.0 has a really extensive Undo/Redo function. There is never any risk of work being lost, and any mistakes can be undone, by the click of a button. Pages can also be quickly changed to any previous iteration, and you can switch between the two as you wish. 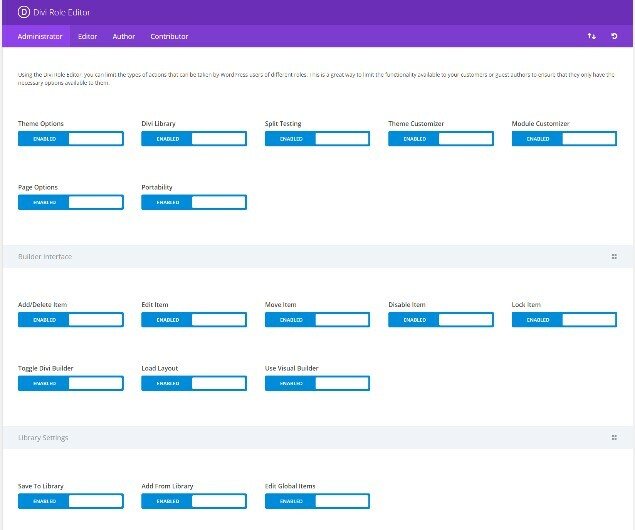 User permissions can be set for different roles. If you’ve ever had a client who is ‘click happy’ then this is a great feature as it restricts the amount of damage that an ‘accidental click’ can do to a website. Everyone wants a website that performs well from both an SEO perspective as well as a user experience one. If a page takes an age to load, often users will become frustrated and may even seek an alternative search result. Now, Google sees the page loading speed as a ranking factor which suddenly makes this all very important. There are some on-page SEO optimization tools that are built-in to Divi. These will jumpstart your website when competing for online visibility. 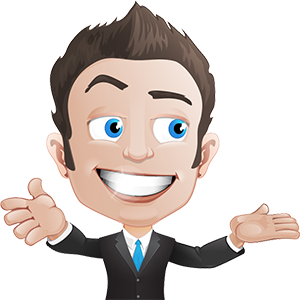 Having said that, I would still strongly recommend using an SEO plug-in such as Yoast SEO (which is FREE!!) to really ensure that your site engines get ranked up. I tested how quickly Divi’s page loading speed was using Google Page Speed Insights and Pingdom. As a result of the metrics, my score was 7/10 for both mobile and desktop devices. Now, I know this isn’t perfect; however, it is rather good for a theme that packs so much functionality and incorporates a fairly large number of graphical elements. What about the users perspective? Well, due to Divi’s easy to use and intuitive layout, the experience was a very pleasant one. The designs are modern, bold and are to be customized easily which in turn will enhance the sites user experience. Regardless of where visitors to your website are coming from, be it SEO, social media or paid advertising, your site must be augmented. This is to ensure that as many visitors as possible are converted (this includes clicking a link, calling your business, purchasing your product, etc. ), something that the majority of website owners aren’t aware of, let alone know how to implement. Check Out The Definitive Review & Tutorial for #WordPress #Themes and take control of your website! It is probably easier to explain using an example. If your online bag store displayed an orange ‘Buy Now’ button on the product page, the orange ‘Buy Now’ button would be Variation A in your A/B test, and variation B may be a blue ‘Buy Now’ button. 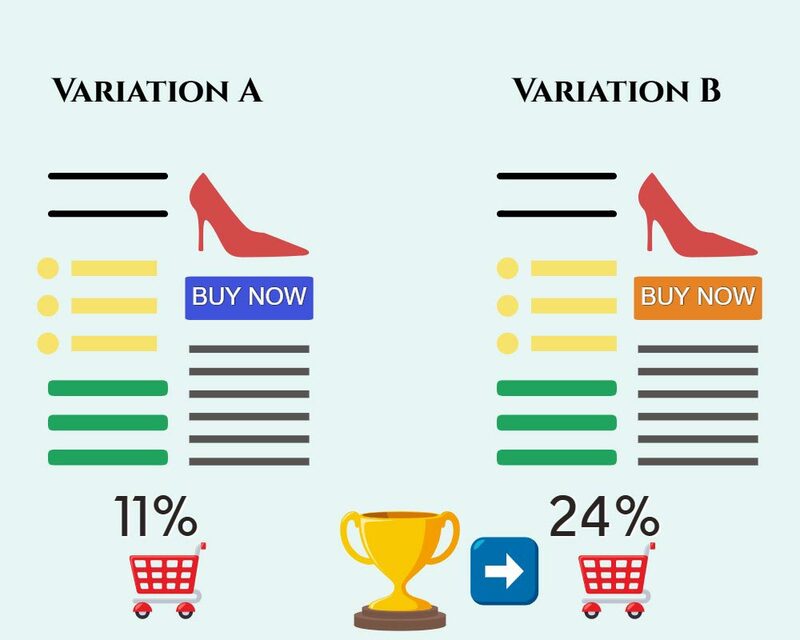 If, following the test result more visitors clicked on the orange Variation A button than the blue Variation B button, this would indicate that the orange button was more appealing to customers. You would then utilize this throughout your web pages. Creating a credible A/B test usually requires the use of paid solutions, such as Convert or Optimizely, which come in at the cost of around $49 per month. The great thing about Divi is that it’s already built in with no extra charge, easy to set up, easy to use and does what’s expected of it. 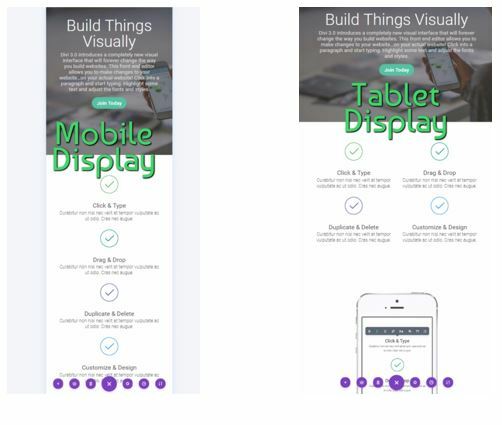 In this section, you’ll learn how mobile responsive Divi is. Does Divi support various screen resolutions, is it future-proof when it comes to the design and layout, so that it ranks better on Google, improves your online marketing and creates a better user experience your customers will love? With the ever growing rise in people using mobile devices, not having your website designed to adjust and respond to mobile devices would be a huge disservice to yourself. Mobile friendliness really is a game changer and fast becoming one of the most crucial factors affecting the SEO and visibility of your site. In other words, by ensuring your website is fully mobile responsive ensures that Google’s Search Algorithms can find you ensuring you get a better ranking on Google. So Divi, how did you do? Mobile Responsiveness is by far one of the features I like most in the Visual Editor. 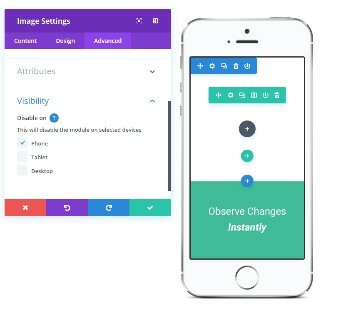 By using this you can switch between tablet, PC, and mobile views, making any adjustments to the layout, design or formatting for each specific device. It even allows you to disable or enable particular elements depending on what device is being used. If you have a large image on the web page but don’t want it to appear on mobile screens, it takes just a couple of clicks to remove. As well as being super easy to use, changing between Visual Editor and Divi Builder’s back– end is effortless. Customizing layouts – I can get the look I want, without having to know any coding. The Divi Builder – This is fast and simple to use, meaning no delays or slow performance. 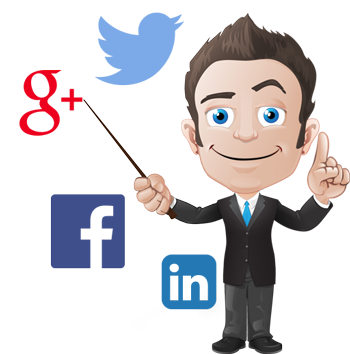 SEO – Perfect, to ensure high-ranking websites. A/B Testing – As this is built in, there is no added cost, so improving and testing website conversions is simple and it produces measurable results. Responsive Design – All the themes are mobile friendly, meaning your website will look fantastic on any mobile device. Saving modules and layouts sections – This is an efficient and time-saving way to build your website. As well as the ability to save entire layouts, modules and sections for reuse on other sites and pages, they can also be updated globally. 37 modules – The variety and number of modules available, combined with the simplicity of customization, makes building unique websites a breeze. I’ve outlined the features that made me love Divi, and as I said before, I will now run through some of the other features that are available. What about Divi’s ‘other’ features? Customizing site-wide settings for my website can be frustrating for me. It can be something as simple as changing the typography of headers, the color or even changing the navigational menu design. The good news is though, when using the WordPress customization tab in Divi there is a whole host of customizable general settings. For site-wide settings that aren’t listed in the Customize tab, these can be found in Divi Theme Settings. In this section, you’ll learn what plugins are available to your Divi WordPress theme which will help you to decide whether it’s suitable for you. Straying slightly away from this review and the theme focus, I think it is important to cover what extras come with Divi. 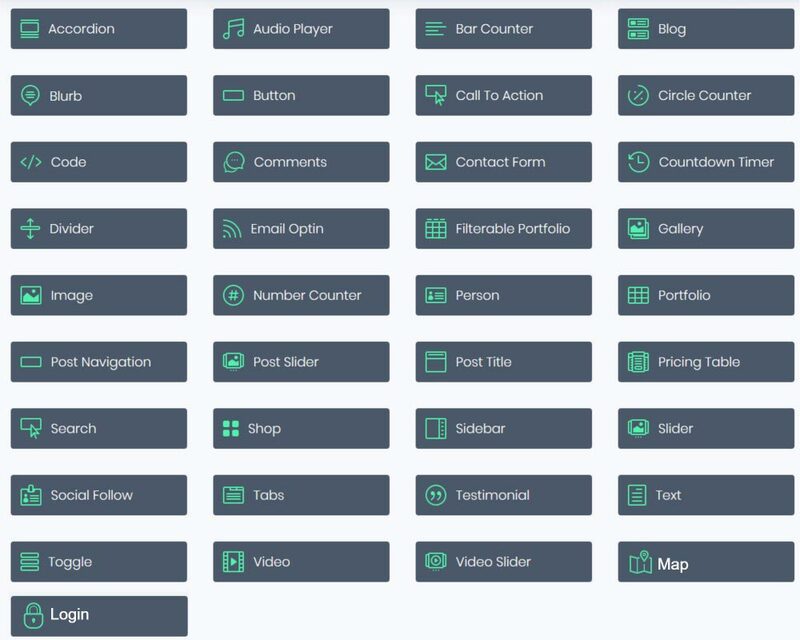 Access is given to 87 themes, together with 7 plugins. Popular themes like Extra can be used for free, with the top plugins being Monarch and Bloom. Bloom allows you to collect visitor’s email addresses and convert them into loyal subscribers, which in layman’s terms is an email opt-in plugin. 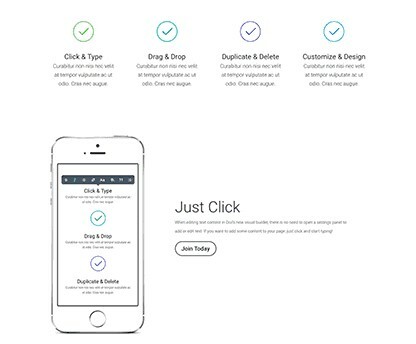 With it, come over 100 fully customizable opt-in templates that are all well designed, allowing you to choose how and where they will appear. 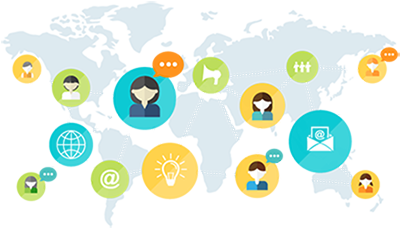 Bloom can provide you with conversion results and integrates with all popular automation and email marketing tools. My favorite plugin for social media sharing is Monarch. As well as being easy to set up, almost anything can be customized, including which social networks should be displayed and how. More advanced options are available, like allowing your images to be shared by visitors. Divi Builder plugin allows you to use it on other themes, even ones that aren’t made by Elegant Themes. Security is a significant factor for any website built on WordPress. 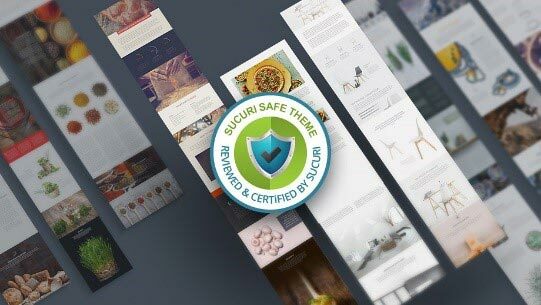 To provide maximum user security, Elegant Themes (the creators of Divi) have teamed up with Sucuri (a major company within the website security industry) to ensure that their theme is as impenetrable as possible. Teaming up with a website security company like Sucuri goes a long way to relieving a lot of the fears of website owners. Divi’s ecosystem support is amazing. Elegant Themes provides detailed knowledge bases that are crammed full of videos and tutorials as well as posting loads on their blog. What I really love though, is the huge third-party support ecosystem, where you can find third-party websites that create tutorials to really get the most from Divi. If you find that you’re ever stuck on how to create a particular type of design – check it out and I guarantee you will find help. I’ve only ever heard great things about the efficiency and speed of the team that supports Divi. I’ve not (as yet!!) had to seek specific one on one support, as together with their documentation, (which is easy to understand) and daily tips and tutorials, it is straightforward to get started, no matter what your level of experience is. Divi has three pricing options available. With the Yearly and Lifetime options, access is given to all features, support, and updates, as well as ALL additional plugins and themes. The only difference between the two is the lifetime option access is ‘forever,’ whereas, the yearly option use is limited to…. well one year! If you are new to Divi, I would recommend starting with the annual access, and if it works for you, upgrade to the lifetime option. 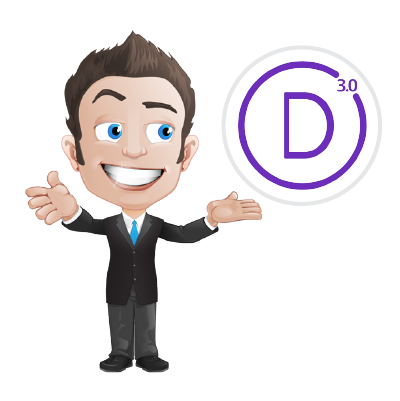 Divi offers a 30-day money back guarantee – no questions asked – if you find it isn’t for you. It may initially appear slightly more expensive than some of the others out there, but having the ability to utilize Divi on unlimited websites, more than makes up for this. 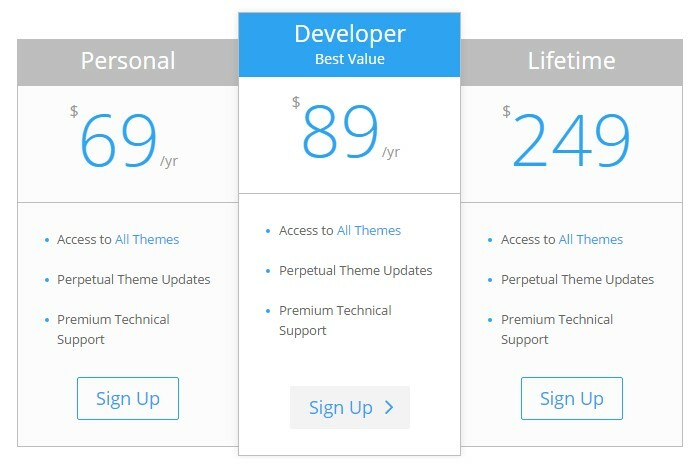 Many of the premium themes, only provide single licenses. Both the Yearly and Lifetime options let you install Divi, or any other premium plugin or theme by Elegant Themes on however many websites you wish. Combined with how easy it is to use, makes it excellent value for money. There are loads of powerful features packed into Divi. To make life easier, I previously outlined the benefits and features that I love and use the most, as well as others which may be of interest to you. I have covered all of the functions and all the features of Divi, listing the good with the not so good and sharing my experience, so what do you think? If you are starting out on a budget, you will probably think that the annual cost of Divi is a bit high. Remember though; you will have access to absolutely all of the themes and plugins that Elegant Themes have. What’s more, you don’t have to re-subscribe after using it for the first year and you still get to use the products. 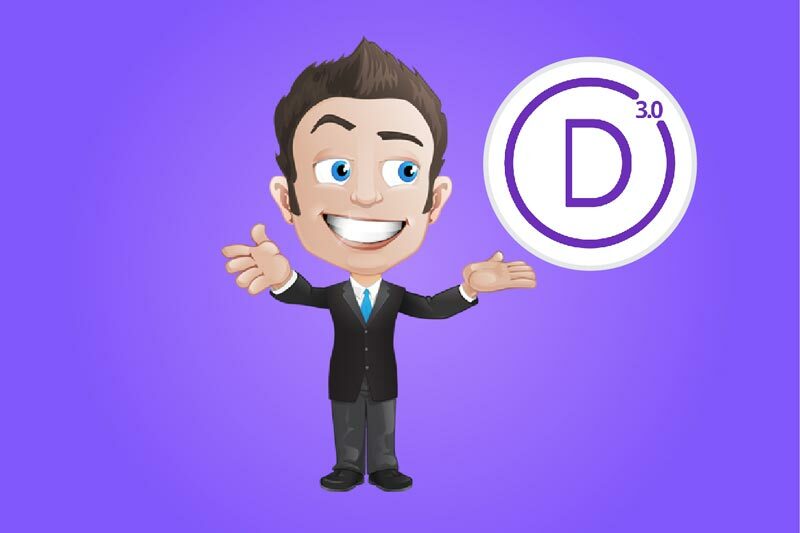 For complete simplicity, Divi is undoubtedly the most dependable option for those starting out. It manages to keep the minimal approach together, without sacrificing customizability. It is brilliant for beginners, and it benefits from having more advanced options available, should you need them. So….. is this the theme best suited for beginners? That’s hard to say because I know that for the most part, beginners will absolutely adore the complete simplicity and the intuitiveness that Divi offers. As stated previously, Divi theme comes loaded with customization options, design settings and modules, giving you top drawer control over the look and feel of your page. Of course, you could find yourself having to delve into the custom CSS for some of the more complicated stuff; however, if you are in this category, this wouldn’t be an issue. On the whole, Divi is not perfect; it certainly does have limitations. It still, however, ranks above many of its competitors in advancement. Based on features and appearance, Divi is a superb WordPress theme. It is well worth the money and includes a shed load of plugin and themes via Elegant Themes. Divi’s design is clean, modern, and together with the catalog of pre-built layouts, setting up is quick and straightforward. Remember though, that Divi is promoted as a page builder, not a theme builder. So, for those who need to set line heights, edit margins and have column and sidebar pixel-point control then Divi isn’t the right choice. For those (like myself) who are looking for a page builder that’s easy to use and hosts well designed useful modules, (without the need for a plugin), then Divi is the way to go. Perhaps you started reading this review this with the intention to buy, and maybe now you’re not so sure! Feel free to leave a comment below and we’ll see if I can help…. or check out the other reviews like Spacious or Genesis. !